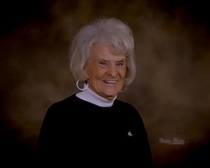 Charlene Watson Dean, age 87, passed away peacefully Thursday, January 10 at BeeHive Homes of Frisco in Frisco, TX. Charlene was born May 22, 1931 at Lathrop, MO to Earl Carson and Rachel (Jurd) Watson. She graduated from Osborn High School in 1949, and attended Gard Business School in St. Joseph, MO. During her life, she held several office work positions, including an insurance agency in Cameron, MO, Missouri Distributing Co., Chillicothe, MO, Nestle Foods, Trenton, MO, and North Central Missouri Mental Health Center, Trenton, MO. She was a member of the First Christian Church in Trenton, Beta Sigma Phi, and had served on the Trenton City Council. Charlene was married to Irwin F. Bacon in 1950, and later to Lional E. Dean in 1964 until he passed in 2008. She is survived by her son and daughter, Tom Bacon and wife, Ronda of Jamesport, MO and Shari Wyatt and husband, Greg of McKinney, TX; one sister, Jeanette Parrack and husband, Jack of Cameron, MO; grandchildren, Philip Lowrey and wife, Natalie of Columbia, MO, Casey Lowrey and wife, Jennifer of McKinney, TX, Charlie Bacon and wife, Savannah, and Callie Bacon all of Trenton, MO; and great-grandchildren, Kora Lowrey, Vivian Lowrey, Katherine Lowrey, and Jackson Lowrey; and numerous nieces and nephews. In addition to her husband, she was preceded in death by brothers, Orville Watson, Donald Watson, and Harold Watson; and sisters, Joyce Streit, and a twin, Darlene Dittemore. Above all else, Charlene dearly loved her family with all her heart. She will be remembered for her fun-loving, independent, and giving heart, and will be dearly missed by family and friends. The family wishes to thank the nurses and staff at BeeHive Homes of Frisco and Custom Care Hospice and so many who sent her cards and letters during the past few months. A family visitation will be held at Resthaven Mortuary January 27th, 2019 at 1:00 pm with Celebration of Life following at 2:00 pm. In lieu of flowers, the family suggests contributions in her memory to the First Christian Church of Trenton, MO.